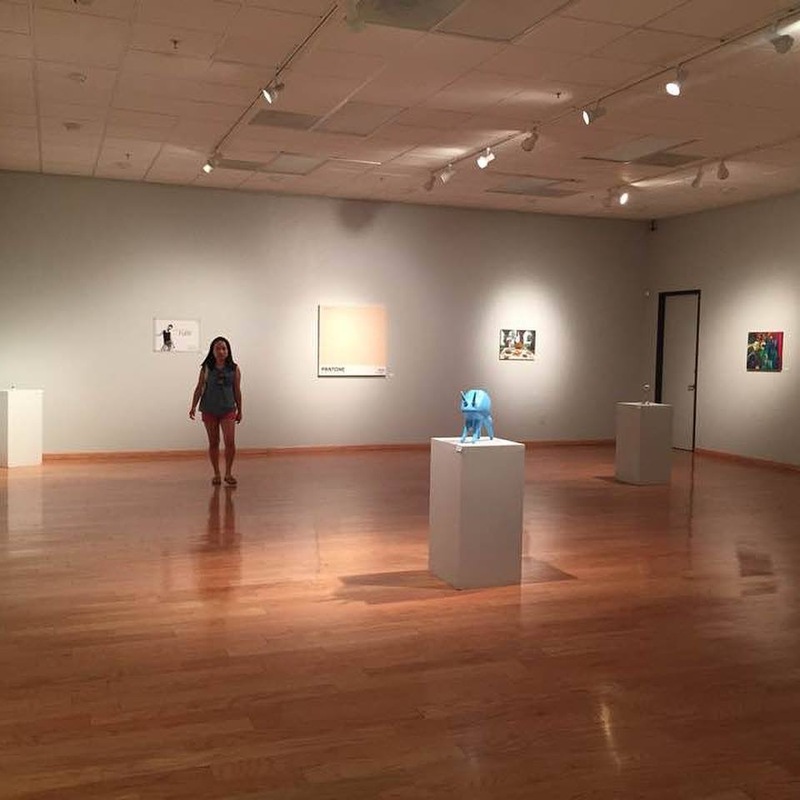 This evening at 5PM Mountain time, the Florence Quater Gallery at the Southwest University of Visual Arts (SUVA) hosts a gallery opening reception for “A Laugh, A Smirk or a Snicker” – a curated art exhibit about humor in art. Thirteen artists from across the United States were selected by an interdisciplinary panel of jurors from SUVA to include sculpture, oil painting, collage, photography, digital art and more. My Upcycled Box of Shredded Tweets was invited to this exhibit, as well as twelve other artists including locally Tucson-based painter Jacob Paik, who shared several of these wonderful installation photos to his Facebook art page and Instagram. 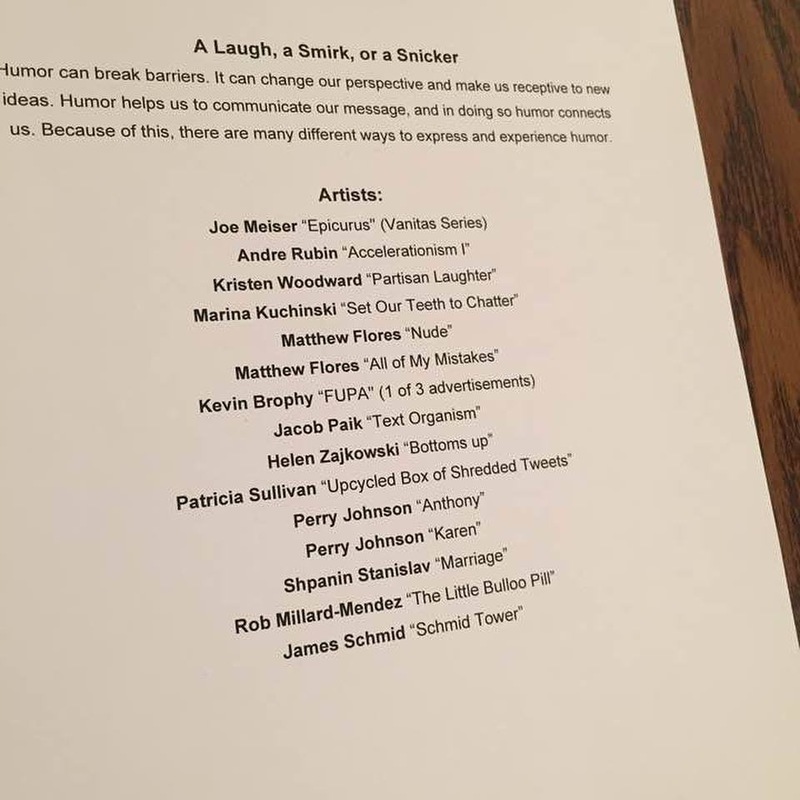 The curatorial statement for A Laugh, A Smirk, or a Snicker is spot-on: “Humor can break barriers. It can change our perspective and make us receptive to new ideas. Humor helps us to communicate our message, and in doing so humor connects us. Because of this, there are many different ways to express and experience humor. Florence Quater Gallery at Southwest University of Visual Arts is celebrating the many ways artists express themselves through humorous means.” The shredded paper in my Upcycled Box series is further play on the ephemeral nature of seemingly important Twitter/news headlines started in my Widget Locket series. 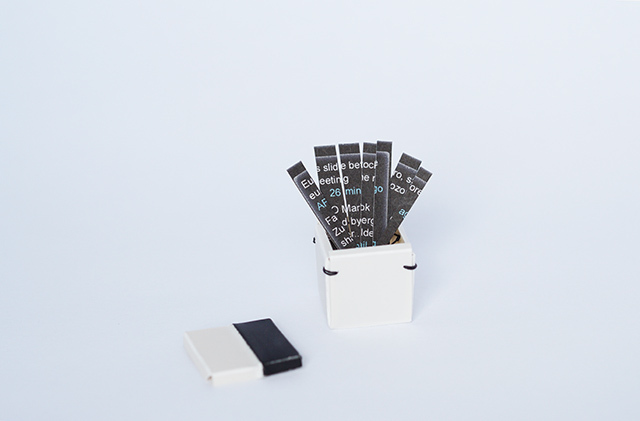 By taking my own digital art “tweets” I create in Adobe Illustrator software and placing the leftover hard-copy paper print-outs used in my prior series of work, I hope to further the notion of shredding paper as another avoidable act. Non-recycled newspapers or discarded, shredded office documents often meet an inevitable demise into landfills. My items start with upcycled fibrous soup bowl materials that are hand-sawed, pierced, scored into geometric forms, and delicately sewn with thread to create a lasting object. With all the latest attention being given to Twitter these days, I hope the humor shines through within this miniature object itself, as its overall scale is only two inches’ tall — part of the humor within the piece. Perry Johnson, “Karen.” Oil on aluminum, 18 in. round. Photo: courtesy of the artist. Virginia-born and now Tennessee-based painter and educator Perry Johnson is showing two paintings that also embrace the upcycled genre. 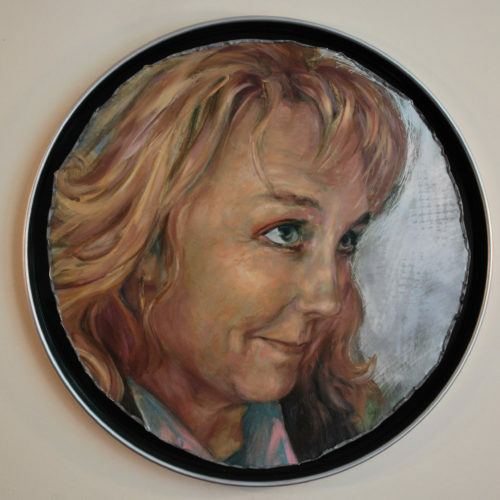 Both “Karen” and “Anthony” are works painted in oils upon can lids or larger circular pieces of aluminum. In his artist statement, Johnson says “the larger portraits are cut to reference a lid’s jagged circumference. The metal is serrated, suggesting that we’re not entirely safe.” The facial expression of Johnson’s subject should almost be the poster image for the exhibition; the female subject is very delicately rendered, while what appears to be also trying to self-contain a smirk, or a snicker. The painterly style of her face, dimpled cheeks and subtle blue brushstrokes on her forehead are actual reflections of the blueish tint of her blouse’s collar. Johnson nods here possibly to the famous classical portraiture of Dutch or Italian masters, who were considered somewhat radical at the time for painting their subjects with smiling or smirking facial expressions. Author Nicholas Jeeves, a lecturer at Cambridge School of Art published an illustrated essay that discusses this exact conundrum, The Serious and the Smirk: The Smile in Portraiture. A Laugh, A Smirk, or a Snicker exhibition runs from October 16th through November 27th at the Florence Quater Gallery, Southwest University of Visual Arts, located at 2538 N. Country Club Road in Tucson, Arizona. The gallery will host an opening reception this evening from 5-7PM, local Arizona time. Normal gallery hours are Monday to Friday, 10-5. Hi Patricia. Congrats on being a part of this show. In these definitely troubled times (what with Trump the creep in office), we need laughs to ease the pressure. Thanks, Neil! Yes, we do need the laughs and what better way than through the medium of art (and blogging!) I really appreciate you stopping by today and commenting. Yes, it really is a rarity these days! Thanks John! « Instagram killed the blogging star… well, not yet.